Avoid renegotiation, Delays, Stress and deals falling apart with a pre-inspected home. A pre-listing home inspection uncovers potential surprises that could derail the sale of your house. Now that we know that most properties are getting inspected, home sellers faces 2 options; you can either take control of the inspection process, or let the buyer take control of it. If the buyer takes control of it, it will result in delays, renegotiation, stress and sometimes deal killing. If you take control of it, the experience will be the complete opposite; sell faster, easier, for more money without stress. Take control and stay in the driver’s seat. A seller inspection discloses problems in advance, allowing the seller to either correct them or present them as is, assuring that the first accepted offer can move quickly and smoothly to closing without delays and might encourage buyers to waive their inspection contingency. Seller inspections promotes openness and total transaction transparency which establishes trust, a positivity that can help push sale prices higher and fetches more offers. If the house is found to be in better condition than originally thought, the price can reflect this. You have the time to shop around for competitive contractors who can make the repairs or make the repairs yourself, if qualified. You may also decide to report them as is the adjust the price. Adjusting the price is the easiest way to go. The inspection report acts as the full disclosure of the property therefor reducing liability for you and your agent. The inspection report provides the buyers with an independent, unbiased opinion from a third party, which they can use to learn more about the property. The agents can use the report as a marketing tool that can help sell the home. It differentiates the listing, shows that you are upfront and trustworthy and gives prospective buyers more confidence. It is normal to worry that your home may have some hidden problems that you are not aware of. With a pre-listing inspection, you will not have to worry about what the buyer inspector will find as you and the buyer will already know the issues, reinforcing trust and credibility. We have Changed the home inspection as you know it, from a Liability into an Asset! 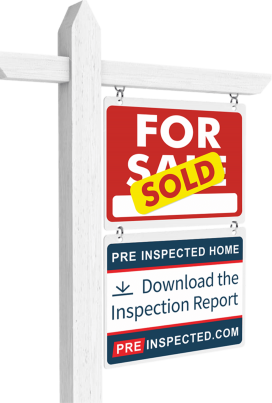 By using the PreInspected.com platform, it will allow you and your agent to know who are the prospective buyers that downloaded the report so you can contact them and speed up the sales process. We perform a high quality professional inspections on your property. 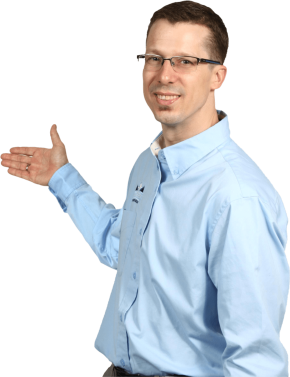 Our goal is that if the buyer does get a home inspection, that the inspector does not find anything of importance that wasn’t already part of our report. 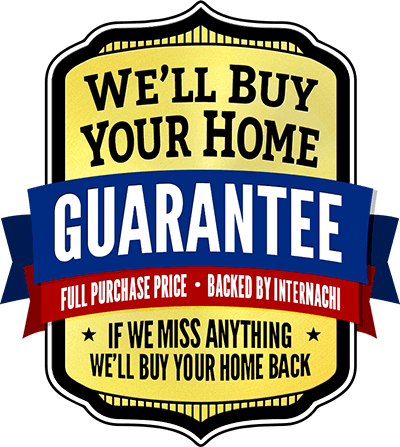 Let us help you find quality contractors to correct a few items that could make the sale of the house difficult or adjust the price and present them as is. You may decide to do some of the repairs yourself if you’re qualified and save money. We upload the pre-listing inspection report on PreInspected.com, your report hosting platform that allows you to capture prospective buyer’s contact information to speed up the sales process. 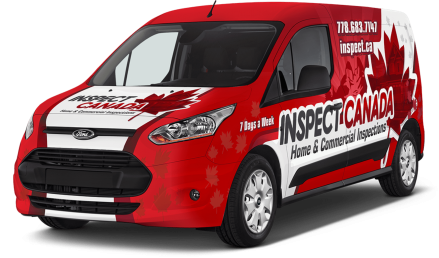 This service comes completely free with your inspection. Your agent will include the report download links on all their marketing from MLS listing to social media post and feature sheets. We will also include a lawn signs that shows that the house is pre-inspected and where to download it to capture the interest of even more prospective buyers. When prospective buyers download the report for free, your agent will get an email notification with the buyer’s contact information allowing your agent to contact them and answer any questions they may have in order to close the sale as quickly as possible. Congratulate yourself on taking control of the inspection process and doing it the right way. Your house has very likely sold faster than it would have without the pre-listing inspection and created a positive experience for all parties. Pre-listing inspections boosted with the PreInspected.com platform is the smart way to sell. Deals will be less likely to fall apart, the way they often do, when buyer's inspections unexpectedly reveal last-minute problems. No renegotiation, delays, stress and deal killing. Pre-listing inspections are not new but skyrocketing them with the PreInspected.com platform is something completely new. If you have any questions, comments or not fully understanding some benefits and advantages, please give us a chance to explain. Contact us and see how a pre-listing inspection can sell your house faster, easier, often for more money, reduce stress, set agents and the listings apart, while creating a positive experience for all parties. What is the difference between a buyer and a seller inspection? The inspections are the exact same. It is the same standard of practice, the same agreement, the same cost, the same everything. We are an unbiased third party that has no gain or loss whether the property sells or not. Our goal is that if the buyer decides to hire his own inspector, that both reports are fairly the same and nothing of importance is reported that wasn’t already part of our report. When is the best time to get our house pre-inspected? The best is to do it before it goes on the market to give you time to fix a few items, if needed, that could make the sale of the house difficult, but it can be done while it’s on the market. We recommend doing it as early as 2-3 months before listing the property. If it’s on the market, get it pre-inspected and take advantage of all the benefits of making the report available to prospective buyers on PreInspected.com to speed up the sales process. What if the house is in bad shape? If the house is in a state that would discourage prospective buyers to learn more after reading the report, we recommend that the agent doesn’t publicize the report and not to add a lawn signs promoting the report. Agents can be honest and upfront to prospective buyers that visit the open houses or request more info by phone or email by letting them know that the house is pre-inspected and that they like to talk to them about the deficiencies found and why they have adjusted the price the way it is. If nothing is said, the buyer inspection could kill the deal. Why would I tell buyers all the deficiencies of the house? Giving the inspection report to prospective buyers not only shows that you are honest and upfront but since this house is getting inspected no matter what, staying in the driver’s seat is paramount. If you let the buyer take control of the inspection process, it will result in delays, stress, renegotiation and possible killing the deal. Since this house is getting inspected, the seller has much to gain by getting it done at the beginning of the transaction and taking control of the inspection process. Won’t pre-listing inspection create more fears and uncertainty in the buyer? On the contrary, pre-listing inspections will alleviate fears in prospective buyers. They will give the buyer a clearer picture of what they’re actually falling into. Many buyers are afraid of potential pitfalls that they may encounter in the purchase of a new home. With a pre-listing inspection, the seller can provide full disclosure to the buyer, thereby eliminating any prospective liability for the seller, and, at the same time, allowing the buyer to reach a fairer purchase price by disclosing defects in advance. What are the benefits to the buyer in having purchasing a home that has had a pre-listing inspection? The obvious benefit to the buyer is having the advantage of having any defects disclosed ahead of time, before the parties actually agree on a purchase price. Additionally, if the seller does a pre–listing inspection, it can save the buyer on closing costs, as it can avoid the need for the buyer to do a separate, independent inspection. If the seller hires the inspector, won’t the pre-inspection report be biased? Actually, no, it won’t be. Inspectors are independent, third-party who are entrusted with providing unbiased opinions. Nonetheless, a buyer may choose to hire their own inspector to conduct an inspection on their behalf. Don’t pre-listing inspections ruin the chances of a successful deal being made between the parties? No, actually, pre-listing inspections help the deal go more smoothly. By identifying problematic areas in advance, the parties are able to address and rectify any issues before agreeing on the final purchase price. By fixing the issues in advance, the seller can then rely on a more accurate selling price, and the buyer has the assurance of knowing there won’t be any pitfalls in the near future. Is the buyer protected by the home inspection? The seller inspection report is done for the seller and does not protect the buyer. It is not designed to protect the buyer but to be used as a guide only. It is not a substitute to a buyer inspection and it is highly recommended that the buyer gets his own home inspection. How can the buyer be protected? There are 2 solutions. One, they hire us for an on-site review. On-site reviews cost half the price and are done for the buyers. We go in with the buyer around the house showing all the findings from the report and educating them about the house such as where the main water and gas shut off are. They sign the inspection agreement, get the report under their name and are protected as if they got their own home inspector. The second option is getting their own inspector. Is the goal of a seller inspection to prevent a buyer inspection? Absolutely not, the buyer needs an inspection in order to be protected. If they do get their own inspector, it will reinforce trust and credibility as the reports will be very similar. The seller inspection report will be almost identical to the buyer inspection report. From experience, about half of the buyer waive their inspection contingency. Proudly Service the Vancouver Lower Mainland and the Fraser Valley. Vancouver, Burnaby, New Westminster, Delta, Surrey, Richmond, Coquitlam, Langley, Abbotsford and more.